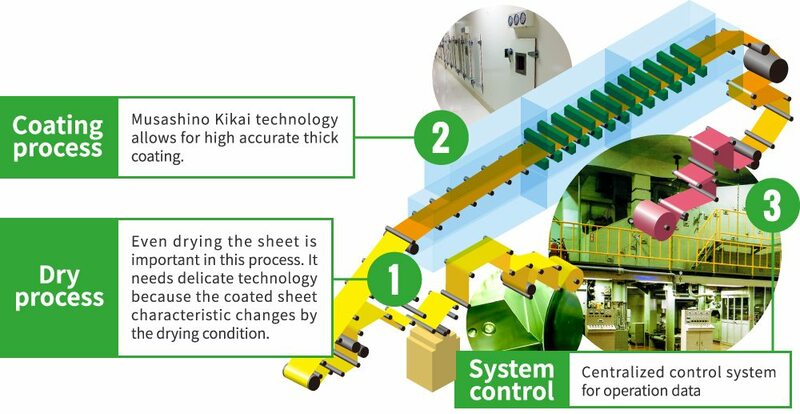 The Musashino Kikai coater is used in variety of applications such as processing of paper/polymer film/metal/wood board etc. 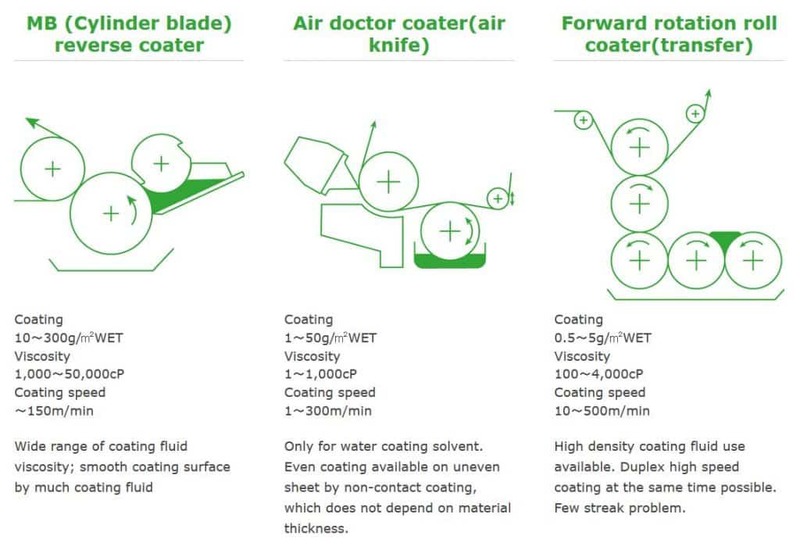 The different thickness coating methods for from ultra thick, 1-2 mm to nano-level ultra thin coating using about 20 kinds heads can be used. 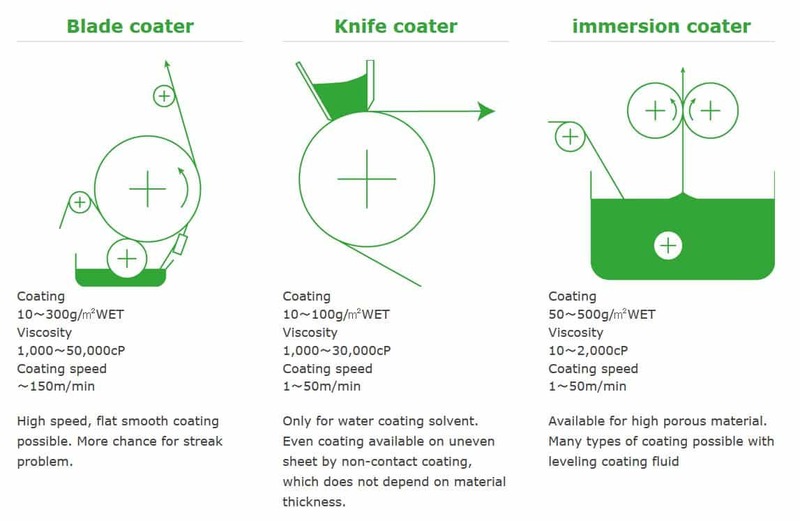 We have a test machine in a coating process center at Tokyo factory for high level of coating process: we help customers to realize their strong desire and idea as a product and help to develop the competitive only one product. This is used in the clean room zone to manufacture the products only in the room. 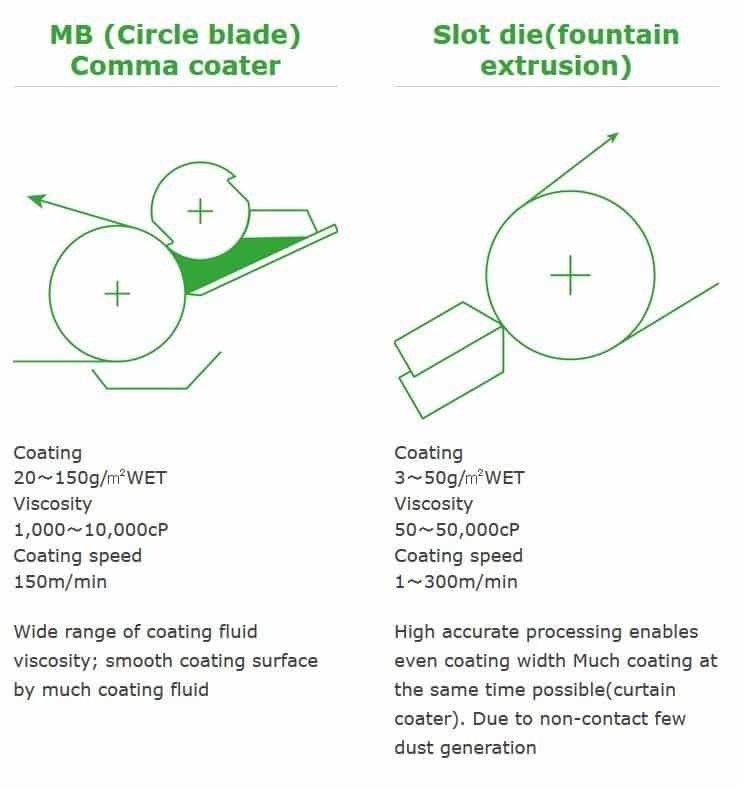 The equipment has some necessary functions that emitted dust can be removed and non-volatile oil is used for clean room operation. Large scale equipment to manufacture adhesive tape, craft tape etc. Line speed is one of important operation parameter. The PVDC coated material is used in many products, e.g. the outer film of medicine tablet. It used to be shifted to vinyl chloride but because of a problem of facing with air we have had many inquiries for PVDC coater, which requires very difficult technology. In general coating target ingredient mixed with solvent is coated but in Hot melt coating melted ingredient is coated and it is set as the temperature goes down. 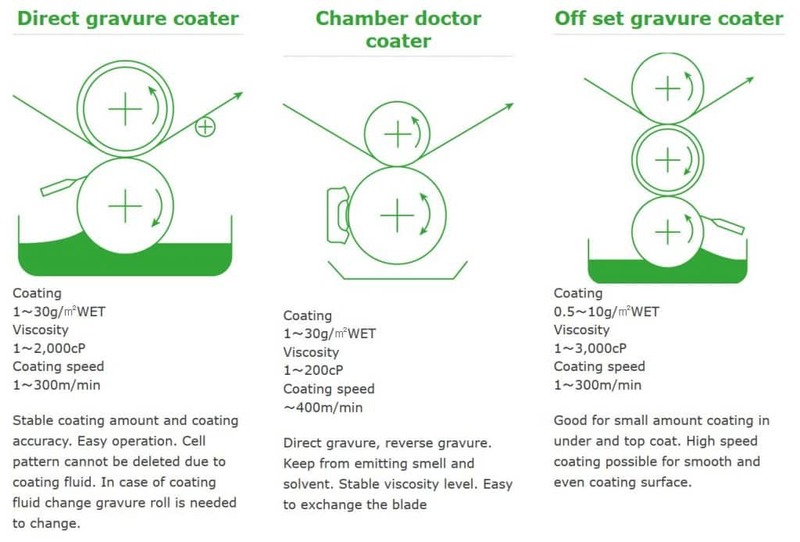 This is old method but this has been collected the attention globally because the solvent used in general coating method can cause environment problem. 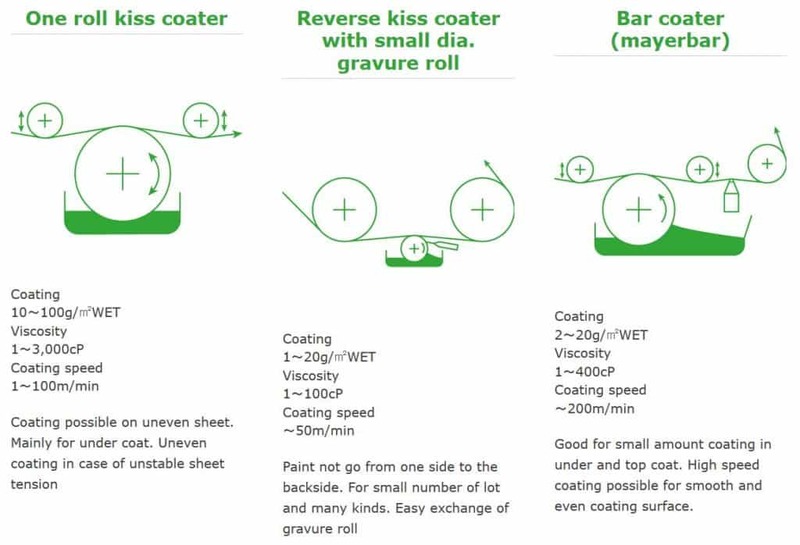 The coater is one word but there are many coating types. 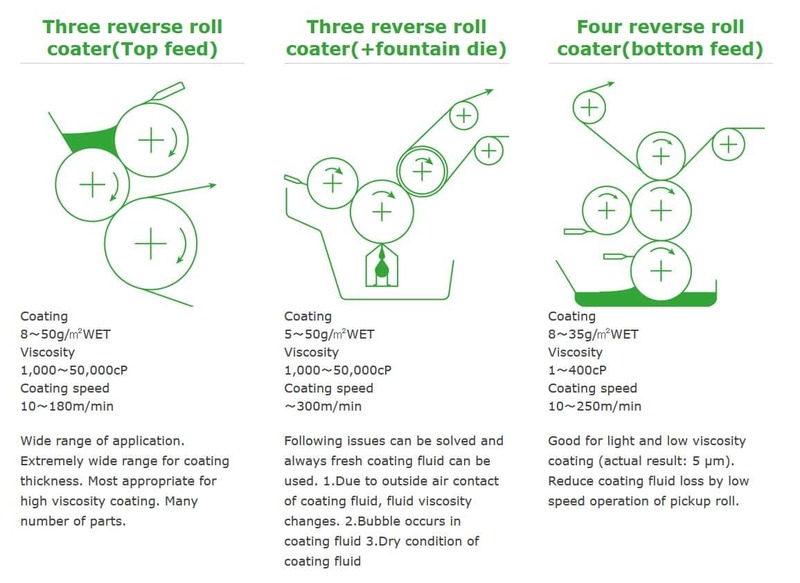 We use many types of coaters; the followings are main types.